While there are some amazing play kitchens out there that you can buy they are mighty expensive especially when you can create one at home which will be loved just as much. I have found a variety of awesome diy play kitchens, all the way from a basic cardboard box kitchen through to a full kitchen build so there is sure to be a kitchen for you on this list! If you are after some amazing diy play food ideas for your diy play kitchen click here. Wow what a transformation! You can hardly tell that this was once an old entertainment center. I love the whole thing but I think it is a fantastic idea using old yogurt and formula lids for the oven elements. Click here for the tutorial. 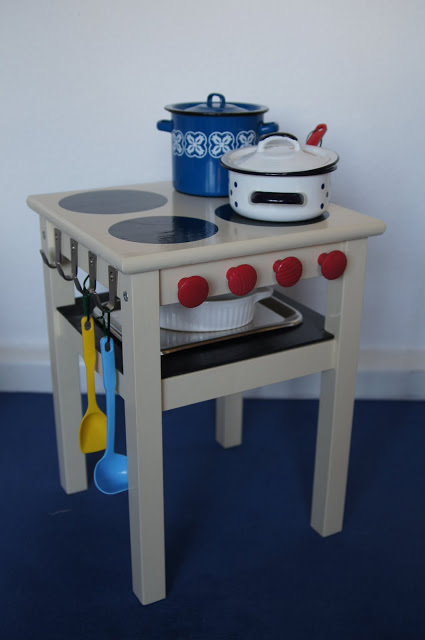 This toy kitchen created out of a stool is a great option for anyone not wanting something to big or complicated to build. 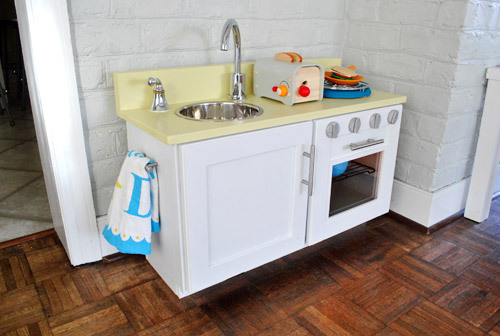 Your little one will love playing with this cute stool kitchen. Head over to Ikea Hackers to find out more. 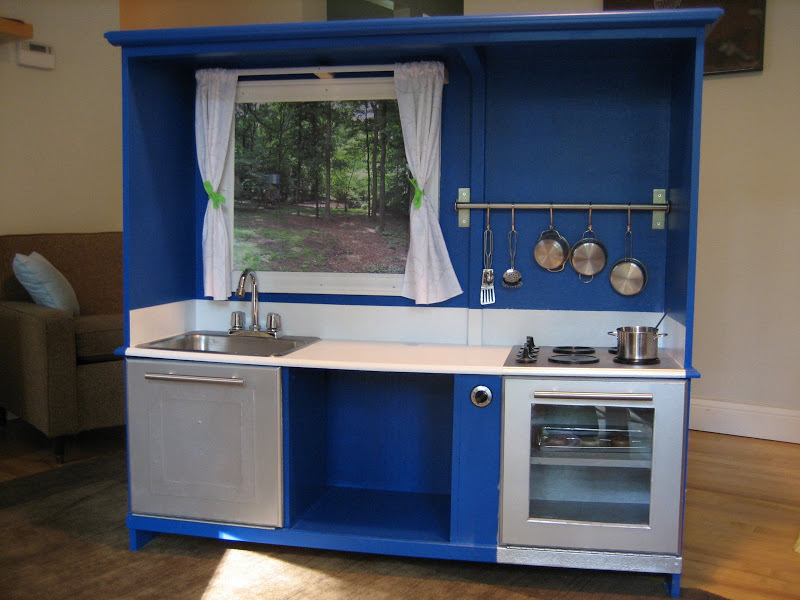 If you wanting to build a kitchen from scratch then this is the diy play kitchen for you. Click here to find the instructions. 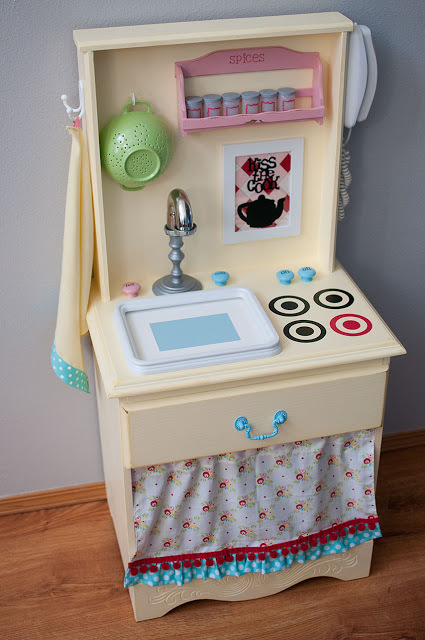 Want something a little more complicated than the stool table but more simple than the entertainment unit then this adorable diy play kitchen made from a bedside table is the perfect kitchen for you. I love the curtain, spice rack and phone. Follow this link to find out more. 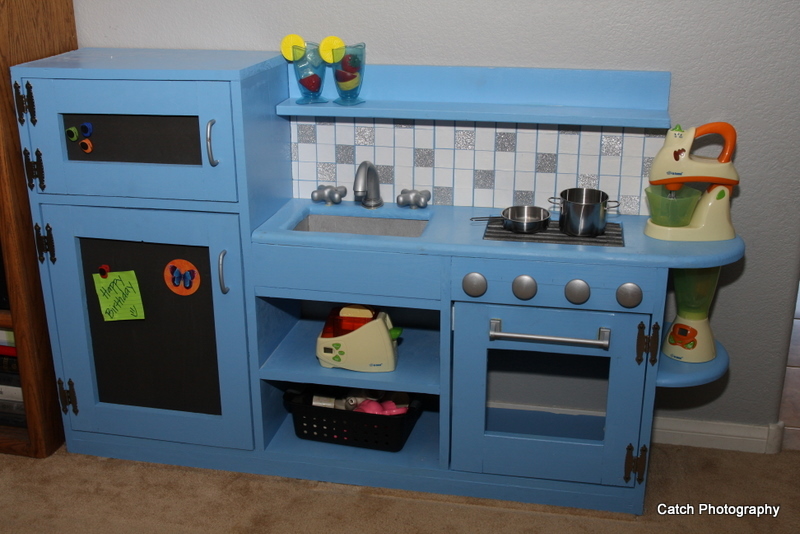 This stylish play kitchen was made from an actual kitchen cabinet! Young House Love provides heaps of information on how they made this kitchen, so be sure to check it out. 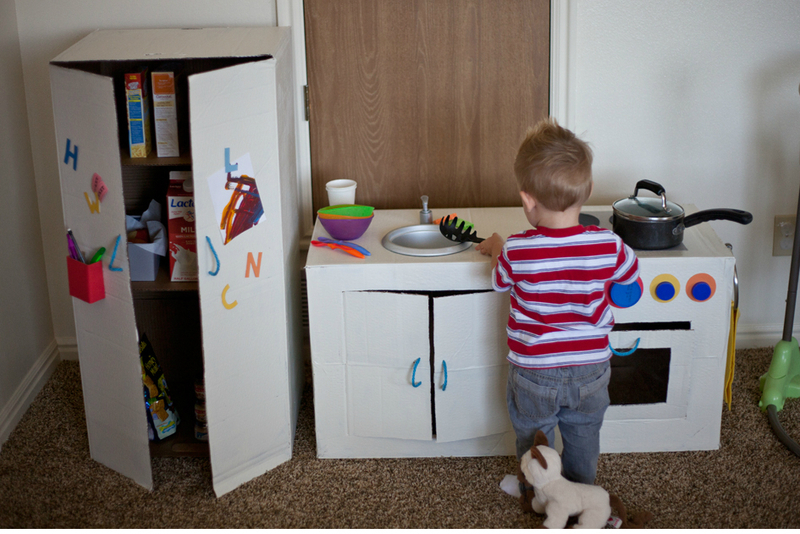 Such a terrific idea making a play kitchen out of cardboard boxes. Children will have lots of fun helping to build and decorate a cardboard box kitchen. Click here for the tutorial. 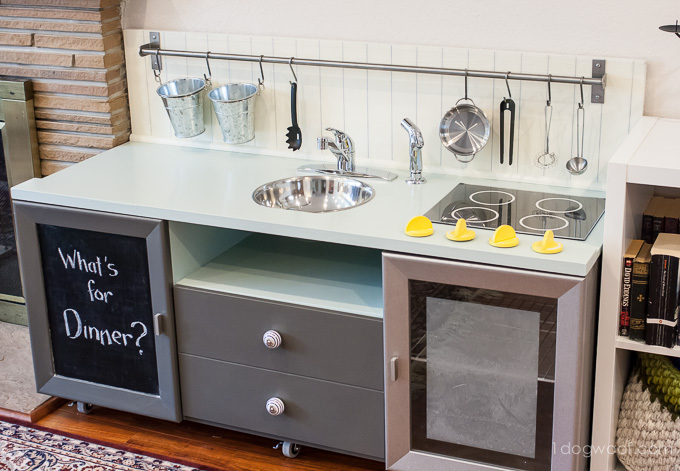 Click here to find loads of helpful tips for your play kitchen build. This site is fantastic if you are wanting to keep costs down and great for getting inspiration.